Make your journey from Phuket to Koh Phangan as stress-free as possible with all-inclusive transfer by shuttle and ferry. There’s no need to drag your luggage across the island with complimentary hotel pickup in Phuket. 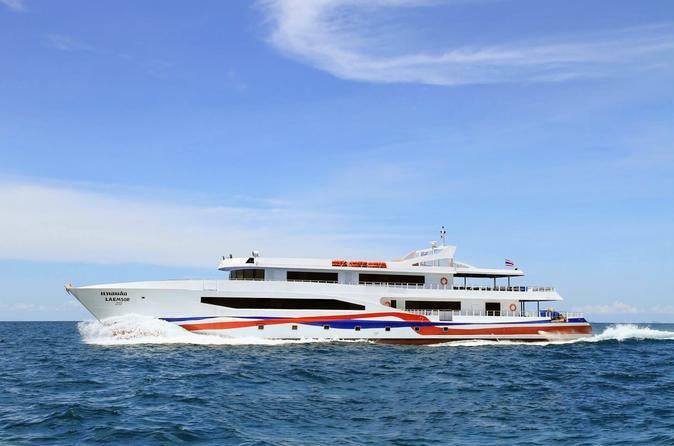 After a comfortable shuttle ride along the Gulf of Thailand, make the easy changeover to a a triple-decker passenger ferry which delivers you to Koh Phangan. You can count on both legs of the trip to be comfortable and air-conditioned.